"How much is my number plate worth?" or "Where can I go to sell my number plate fast?" then you've come to the right place. We will provide a free valuation for your reg straight to your inbox. The figure represents a price we estimate we would be able to return to you from the sale of your plate, but you're free to adjust this (up or down) to your liking in your account dashboard. We'll add your reg to our books and begin marketing to potential buyers immediately so, if you're not looking to sell, please do make sure you choose to remove your valuation record. It shall be considered fraudulent misrepresentation to request a valuation for a registration mark for which you are not the owner. National Numbers reserves the right to take legal action and seek remedy of damages in a tort action for inferring ownership when you do not. You may be asked for proof of ownership - i.e. details from the V5C log book in your name, or information from a valid retention certificate (V750 or V778). 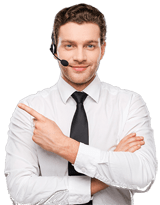 Your registration, email address, and any other information you supply will be recorded along with your IP address, browser, OS and other available identifying information as part of your request. I confirm that I am the legal owner of this registration (or I have express permission from the legal owner), and I consent to having this registration advertised for sale and to be contacted about it. How will National Numbers value my number plate? The supply of similar registrations. Some numbers have more appeal than others. 1 is usually the most prized. Numbers are often significant when they relate to high end car models such as Ferrari, Aston Martin, Bugatti etc. Many numbers have cultural, religious or spiritual value such as 786. Numbers can look like letters e.g. 5 is like an S and 1 is like an I or L so the entirity of a plate can read like a word. The current zeitgeist; for example, plates with the word BOSS (BO55) have been very popular over the last few years and we're seeing a rise in sales for plates showing dog breeds such PUG or LAB. Plate provenance: A value is now attached to registrations because of their history. Owners of classic, veteran, vintage or post vintage cars often seek plates that reflect the age of the car. In addition, plates have geographic indicators and owners sometimes want their registration to reflect a particular area of the country. As the history of registrations grows richer and more interesting we have found the plates owned by famous people or that have been on iconic vehicles fetch good prices. Some of the releases of the new style millennium number plates can be very attractive; notably the release of 11 and 15 series plates as these produced some great matches to names and words. Other series, not so much! What happens when I get a number plate valuation from National Numbers? National Numbers offers a two-tier service. Our online automated service uses our data sets to make a private plate valuation. Registration owners can choose to call our premium rate valuation service on 0905 757 0011 where they will speak to a technical expert who will take the time to assess the value of particular plate. Our valuations tend to be a realistic price that would attain a sale, however you're entirely free to specify your own asking price if you list it for sale with us. Although we're happy for our sellers to state their own price, we do check where the prices are inflated to levels where we feel that a sale would never be achieved. Yes, you do need to own the number plate or be the authorised third party. 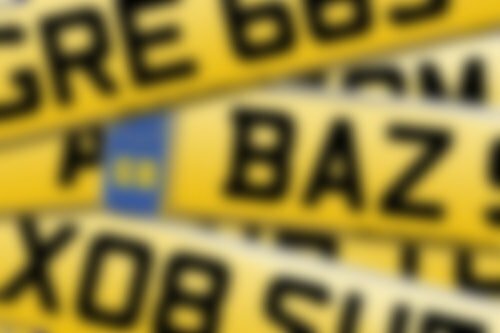 We will ask for and retain information that proves ownership This is particularly important if you want us to sell your number plate. No, if you just want a number plate valuation you do not have to sell your plate through National Numbers. However, if you use our free online service you will agree that National Numbers can retain your contact information so we can answer questions about if certain registrations have been issued or not. As per GDPR guidelines, you can request to have all your details erased from our systems at any time. No, we will promote your personalised number plate for free, but if you are thinking "I want to sell my number plate fast!" then we do offer a premium placement which you can purchase to have your plate positioned more dominantly in our search listings.